Texas Hill Country is a farm haven. Lush, green, and hilly, the land around Austin features farms in every direction, including both urban and rural farms. With a long Texas summer, warm fall, mild winter, and generally fruitful spring, there’s no shortage of local produce year-round, nor is there a shortage of places to find it. Here’s a quick guide to some of Austin’s best farmers markets, urban farms, and pick-your-own orchards where you’ll find some of the freshest seasonal treats. Several farms within Austin’s city limits host events such as farmers markets and farm stands, and they also allow farm visits at certain times throughout the year. Being tucked within the urban boundaries of the city, these markets are important resources for local residents and restaurants alike, particularly with the farm-to-fork movement within Austin. With wide ranges of produce, meats, flowers, honeys, and eggs, these farms are one-stop shops for kitchen staples, while providing locally sourced, organic alternatives to standard grocery shopping. Beyond that, there’s an increased interest in where our food comes from and in the supply chain surrounding the products we use. This gives urban farms the opportunity to be both providers and educators. Plus the farms are simply beautiful places to visit. Springdale Farm is tucked away on Austin’s East Side, and it also houses an onsite restaurant called Eden East. 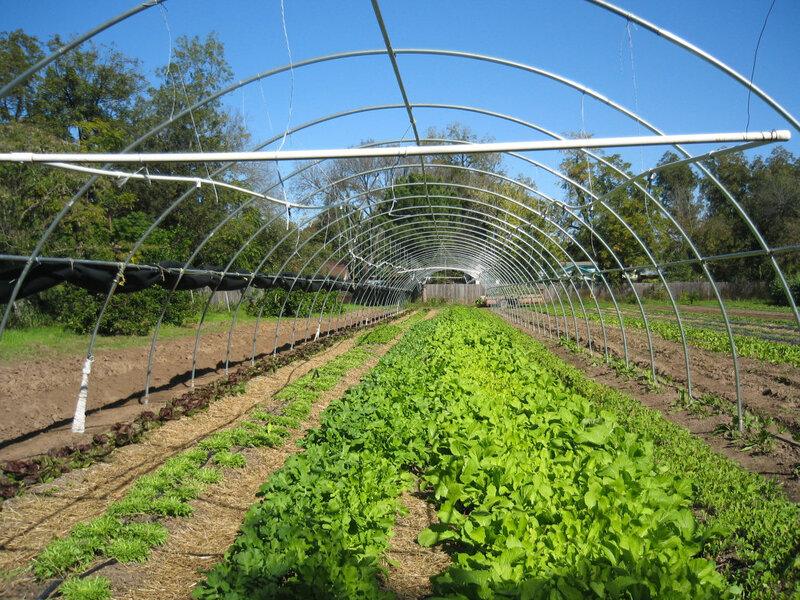 Boggy Creek Farm and Green Gate Farms are two other urban farms within Austin that specialize in everything from hard-to-find produce to grass-fed meats. They also offer farm stands and market hours, workshops and classes, and other special events. Each of the farms have different market and farm stand hours, product availability, and events schedules, so be sure to check each farm’s schedule before visiting. Farmers markets happen all over the city, all throughout the week, allowing both Austin and Hill Country farmers to come together and provide a wide selection of produce, meat, eggs, and homemade sauces and specialities. There are markets during both the week and the weekends, some with multiple times and locations. Some of Austin’s farmers markets include SFC Farmers Market, HOPE Farmers Market, Barton Creek Farmers Market. From specialty sauces and herb honeys to homemade teas and organic fruits, veggies and meats, Austin’s farmers markets are a great place to collect local products, sample farm-specific specialties, and participate in community events. Often paired with live music and entertainment, particularly in nice weather, Austin farmers markets offer an old-fashioned sense of community while showcasing the best of the local farms. If you’re up for a day trip, there are many farmers markets options outside of town, too. One favorite is at Arnosky Family Farms between Wimberley and Blanco, Texas. Supplying many of the flowers sold at local Austin establishments, Arnosky holds weekend farmers markets, including a Sunday honor’s system market, where guests are invited to the fresh items leftover from the Saturday’s market—on an honor system. Fresh goat cheese, flowers, herbs, and Mexican Coca-Cola can be found in their big, blue barn, nestled on a Hill Country backroad. Take a field trip to visit one of the more hands-on variety of farms in the Texas Hill Country that feature pick-your-own produce throughout the year, depending on the crops that are ready to harvest. These farms are great to enjoy with friends and family while getting a first-person perspective of the culture and labor of harvesting. While different fruits and veggies peak throughout the year, some things remain Texas staples—like lavender, strawberries, and peaches. Tucked away on Hill Country backroads, you can visit farms like Hill Country Lavender, Sweet Berry Farm, Jenschke Orchards, and Marburger Orchards to source your own produce during harvests. June, for example, tends to be the prime season for peaches, particularly in the Stonewall/Fredericksburg area, and several local orchards open their farms for fresh pickings. Both Marburger and Jeschke orchards offer pick-your-own peaches, while Sweet Berry Farm is famous for its springtime strawberry season and pumpkins later in the year. Lavender is another Texas harvest, generally in full bloom in mid-June. And for those interested in being in the middle of it all, either as a witness or a helping hand, why not consider a farm stay in Texas Hill Country? There are many farms both within and just outside of Austin that invite guests to stay in farm quarters and, if they fancy, to help out with farm chores. Visitors can help with harvests, learn about everyday farming tasks, and visit the farm animals. HausBar Farm in Austin invites guests to visit their farm animals and use the farm’s bounties to make their own feasts in the guest bungalows on the farm. And, if you feel so inclined, you can sign up for workshops about things like homesteading, gardening, chicken raising, and composting. Outside of town in Wimberley, Texas, right along the Blanco River, you’ll find Montesino Ranch, a working ranch with beautiful gardens and beef cattle and, on occasion, country dances in its big barn. You can stay in an old farmhouse or a farm studio and watch the farmers go about their days from a porch overlooking old live oaks. Whether you’re looking for a simple Saturday at an in-town market, ways to improve your understanding of food production and farming, hands-on opportunities to learn the ins-and-outs of farming, or for a getaway that’ll give you a glimpse into farm life, Austin and the surrounding communities have many a option to introduce you to the inner-workings of farming, while also stocking your fridges and pantries with certified organic, grass-fed, handmade goodness.